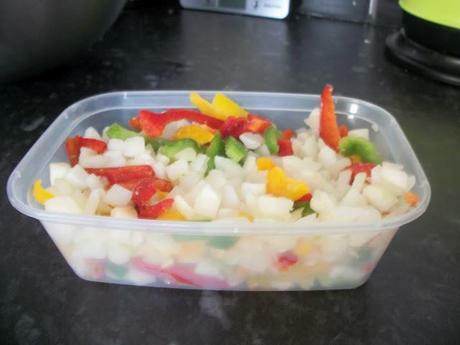 Since Ive been ill cooking has been pretty difficult (the heat and the standing still makes me topple!) 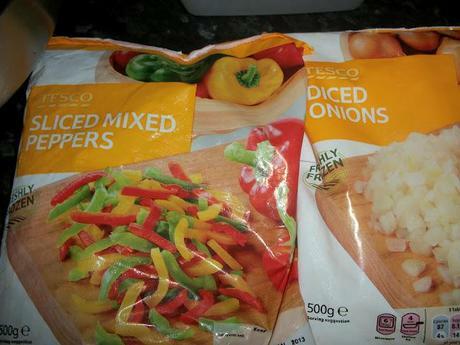 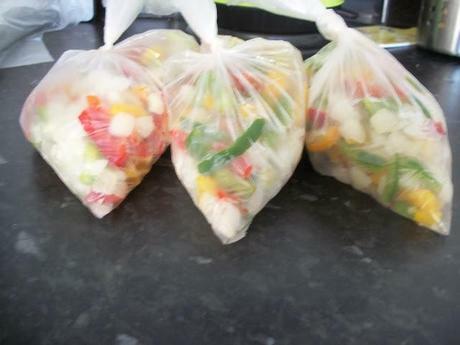 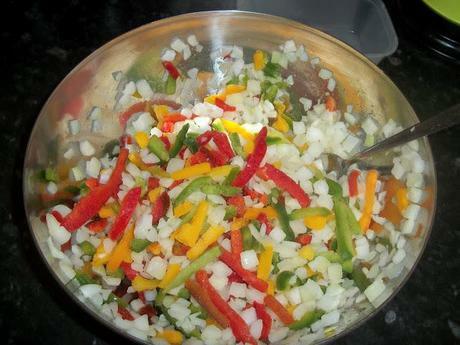 So my plan is to try and make things easier for myself with some preparation, so here I have used some bags of ready chopped and frozen peppers and onions to make portion sized mini bags that I can easily use for fajitas, pasta dishes, and for the chicken and chorizo bake I will make next. 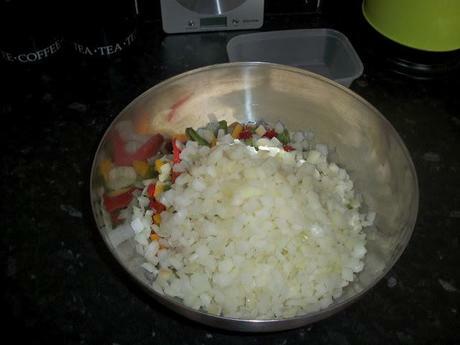 Easy peasy steps - Put it all in a bowl! 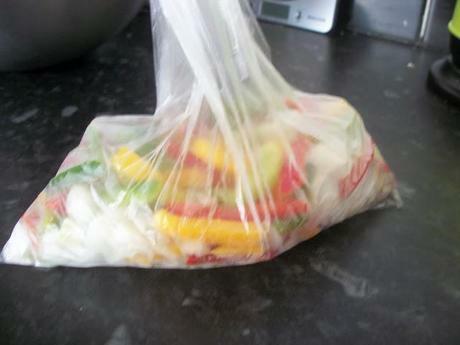 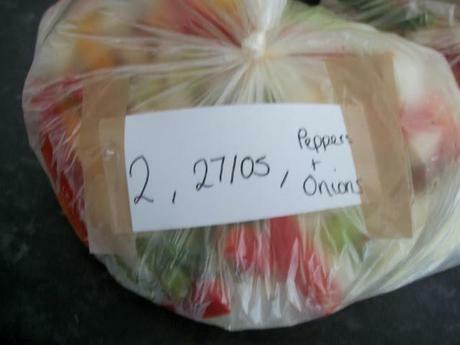 When you think if the time spent washing and chopping the veg, plus if your like me and buy fresh veg then forget to use it in time or buy frozen and don't seal it properly (I lost a whole bag of frozen sweetcorn in my freezer and I still find some of it loose) this could really save you some time, money and effort!